Pure and soft organic cotton oxford pillow cases from Natural Collection. Comfortable and light with a subtle stripe and lovely sheen Natural Collection bedlinen is suitable for even the most sensitive skins. Oxygen white - naturally whitened with no chlorine or optical brighteners. The Natural Collection Organic Cotton Pair of Pillowcases - White product ethics are indicated below. To learn more about these product ethics and to see related products, follow the links below. 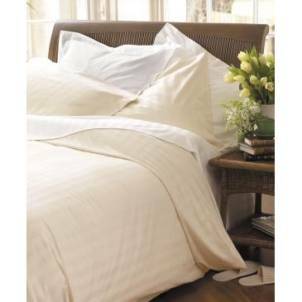 are the best sheets I have ever had & would not hesitate to recommend them. Quality of the product is good. Would recommend to anyone who wants organic cotton bedding. Q: What is the thread count for these items? A: Hi, it's about 208 per inch. Robyn.